TeleCounsel Group has partnered with a network of counselors with a philosophy of expert level care and recognized performance. What We Do Best - We Gets Results! While we partner with many specialists across a diverse spectrum of issues - the topics we received the most interest in are: Anxiety & Depression, ADHD, Anger Management, Grief, Marriage & Relationships and Christian Counseling. How We Work - A key pillar to our success is our customer centric focus. Not only are our counselors focused on your success and held accountable for it, but we also deliver our service to as many people as possible in an affordable and convenient manner. Most people that sign-up for a gym fitness membership are excited at first, but their will-power quickly fades and they never realize their expected results. Creating time to drive, change, prepare, workout, unwind, and do it again and again becomes cumbersome, boring and difficult in light of all the other things that compete for our attention. Knowing this - TeleCounsel Group focuses on keeping things simple. We've invested in online counseling technology to keep scheduling and tracking tasks effortless. Sessions are held over the phone from where you are to maximize your ability to succeed. Its simple, its convenient, its effective and many people grow to appreciate the value of TeleCounsel Group in their busy schedule. Creating new habits, overcoming life events, and changing learned behavior does not happen overnight. Like anything good, real life altering change takes time, focus and attention. The programs at TeleCounsel Group are built on proven frameworks and results will be seen every session. Visit us at telecounselgroup.com for more information. 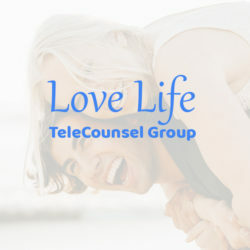 TeleCounsel Group counselors use cognitive and interpersonal therapy techniques that are structured to help give you some immediate relief from symptoms and get you on a path toward achieving your goals. Our treatment goals include rapid symptom reduction and improved social adjustment. Our ultimate goal is to improve your symptoms and allow you to function free of medication going forward. Convenient, Court Approved, Confidential - Our Anger Management course provides client strategies and techniques to manage excessive anger and make better life choices. Anger management doesn't try to keep you from feeling anger or encourage you to hold it in. Anger is a normal, healthy emotion when you know how to express it appropriately - anger management is about learning how to do this. We do offer a fast-track version of our Program for those committed to expediting their learning. ADHD can impact almost all areas of an adult life - work, family, relationships, finances and health. Because ADHD symptoms can manifest themselves at varying degrees from person to person the treatment to manage, train and control ADHD is not black and white. Our program is tailored to meet your individual needs but structured enough to drive accountability, gets results and maintain those results. Coaches will work in conjunction with medications prescribe by your health care provider.